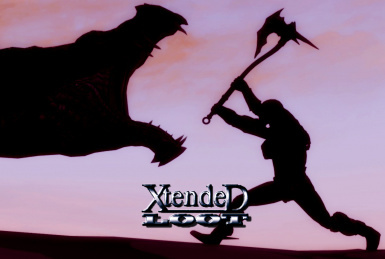 Xtended Loot Lite no longer exists. What does World's Dawn do exactly? New enchantments with features of Xtended Loot Lite? Hi 3jiou. First of all thanx for all your mods. I think ive used all of them. I used Dynamic Loot, then switched to Xtended, then Lite. Definitely ill try Worlds Dawn. Xtended Lite works great for me and i havent found any bugs, at least noticeable. Can i suggest a new feature? It would be possible to distribute new enchantments from other mods like wintermyst like in Dynamic Enchantment (http://www.nexusmods.com/skyrim/mods/68948/?)? It would be awesome if those enchantments could be found mixed with your new attributes and enchantments. Good news everyone! World's Dawn full release will also add enchanted and tempered items into treasure chests and vendors stock. @ zelazko, WD has more features than XLL, including RPG attributes with their separate MCM tab, Mass Absorb with configurable hotkey, and more. @ thorondorvillaca, alright, going to download it and check if any Wintermyst's effect can be added to WD's effect lists. PS: On second thought I don't think I'm going to add Wintermyst's or any other mod's effects to this mod. It would require a huge amount of work to properly add and scale their magnitude/duration, it simply doesn't worth it, Wintermyst is already bundled in PerMa plus its enchantments can be distributed by Dynamic Enchantments, so no, not going to happen. Oh cool, amusingly you say that just after I think I got the add ons I use for basic xtended loot merged. Thanx for consider it. Keep up the good work! Nah, keep up the good work. Nice to see updates! I can wait while you restructure the description and other things. Does World's Dawn replace this Xtended Loot as well as Lite? So then if I wish to see Wintermyst distributed through npc leveled lists, I would have to choose Perma or Dynamic Enchantments over World's Dawn? If I don't care about Wintermyst being included WD's randomization system, could I still download both Wintermyst and WD and see distributed loot influenced by both mods? Edit: To answer my own question, both mods do play nicely and seem to distribute themselves well. Any one know if Xtended Loot and World's Dawn, Enchanted loot & RPG attributes and Wintermyst - Enchantments work with Requiem - The Roleplaying Overhaul ? I hope you don't remove this Mod for those people like me that use elemental destruction Magic mod. I was going to try out World's Dawn then I say it was incompatible with Elemental Destruction Magic and was a little disappointed. This should work with SSE now. Use the leveled loot option, which you clearly aren't. If you were, you wouldn't be finding Daedric items at Lvl. 3. I can't put the enchantments on clothing (the enchantments are listed but greyed out on the enchantment menu); the weapon enchantments seem fine - and yes I'm using the SSE Engine Fixes. All .esp's form 44'd (using Cloaks & WACF Patches also). Will this work along side with More Interesting loot. Hey dude, just wanted to comment that I gave gear to my followers and xtended loot changed the enchantments on those. Is that how it is suppose to work? So Ican disenchant all of the items but i cannot put the enchantment on a different item... Why? This doesn't work with SSE. It does not properly add the enchants to the vanilla gear, only to gear added by the mod itself. Fix? I am sorry for the NOOB question, friends ... I used to use DYNAMIC LOOT by this author many moons ago, and I am now starting a fresh play through. What is the main difference between this mod XTENDED LOOT and World's Dawn, Enchanted loot & RPG attributes in Skyrim? Can the two be used together?Should they be used together for an 'immersive' and enhanced Skyrim experience?My current character will have a few followers, so we may already be at an advantage before finding awesone, OP'd loot. Thank you! It does not work :) There seems to be a difference in how SKSE handles adding gear to NPC's and that makes items added by this mod to enemies just empty. The vanilla gear that isn't added by the mod gets enchanted correctly though. But you will find about 50-75% items that have a cool name but nothing in stats etc :) So no, doesn't work. Could you please port this to Skyrim SE please please! Favourite loot mod of all time!